According to the relationship between energy consumption and economic development in different counties and societies, Apergis and Payne (2009) proposed four hypotheses—energy-driven growth hypothesis, energy-conserved growth hypothesis, bidirectional interaction hypothesis and energy- neutral growth hypothesis, revealing the corresponding characteristics of the above relationship, which are unidirectional causality, two-way causality and weak correlation respectively. And Grossman and Krueger (1991) proposed the Environmental Kuznets Curve (EKC) hypothesis in which the inverted u-shaped relationship between environmental pollution and economic growth is considered. 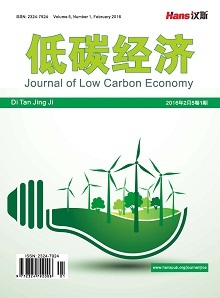 Based on the above hypotheses, this paper brings the relationship among energy con-sumption, environmental pollution and economic growth into an overall framework for statically theoretical analysis, and the empirical research on the correspondingly dynamic relationship among three referred above is made by using the panel data model, established by the data of 30 provincial administrative units of China. Results show that 1) the economic development of China, which has been at the left of THE EKC in the long time term, has climbed up to the inflection point and stood at the stage II of EKC; 2) economic growth of China is gradually getting rid of the dependence on energy and the sacrifice to environment; the development of energy and environmental protection industrials will become the endogenous power of economic development of China; 3) the transformation of the pattern of economic development is building the dynamic equilibrium mechanism of energy consumption, environmental pollution and economic growth. 陈耀辉, 汪古月 (2011) 能源消费、环境污染与经济增长的实证分析——以江苏省为例. 理论建设, 6, 58-60. 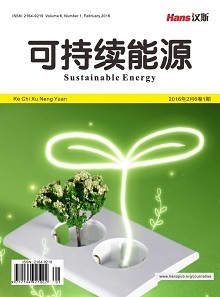 宋香荣, 王依军 (2011) 新疆经济增长中的能源消费与环境污染. 新疆财经大学学报, 3, 5-9. 付博君, 杨新吉勒图 (2012) 内蒙古能源消费、环境污染与经济增长的关系研究——基于3E模型. 知识经济, 17, 22-25. 肖涛, 张宗益, 汪锋 (2012) 我国区域能源消耗与经济增长关系——基于能源输入省与输出省面板数据的实证分析. 管理工程学报, 3, 74-78. Soytas, U. and Sari, R. (2006) Can China contribute more to the fight against global warming? Journal of Policy Modeling, 8, 837-846. Zhao, Z. and Yuan, J. 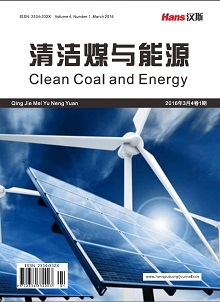 (2008) Income growth, energy con-sumption and carbon emissions in China. The 2008 International Conference on Risk Management & Engineering Management, 373-377. Apergis, N. and Payne, J.E. (2009) CO2 emissions, energy usage, and output in central america. Energy Policy, 8, 3282-3286. Grossman, G.M. and Krueger, A.B. (1991) Environmental impacts of a north American free trade agreement. NBER Working Papers No. W3914. 张宝山, 袁晓玲, 张小妮 (2012) 环境污染、能源消费与经济增长. 科学决策, 11, 20-38. Lee, C.C. and Chang, C.P. (2008) Energy consumption and economic growth in Asian economies: A more comprehensive analysis using panel data. Resource and Energy Economics, 1, 50-65. Huang, B.N., Hwang, M.J. and Yang, C.W. (2008) Causal relationship between energy consumption and GDP growth revisited: A dynamic panel data approach. Ecological Economics, 1, 41-54. Akarca, A.T. and Long, T.V. (1979) Energy and employ-ment: A time series analysis of the causal relationship. Resources and Energy, 2, 151-162. Wietze, L. and Montfort, K.V. (2007) Energy consumption and GDP in Turkey: Is there a cointegration relationship? Energy Economics, 6, 1166-1178. Yang, H.Y. (2000) A note on the causal relationship between energy and GDP in Taiwan. Energy Economics, 3, 309-317. Altinay, G. and Karagol, E. (2004) Structural break, unit root, and the causality between energy consumption and GDP in Turkey. Energy Economics, 6, 985-994. Stekhoven, D.J. and Buhlmann, P. (2012) Miss for-est—Non-parametric missing value imputation for mixed-type data. Bioinformatics, 28, 112-118. Arellano, M. and Bond, S. (1991) Some test of specification for panel data: Monte Carlo evidence and an application to employment equations. Review of Economic Studies, 1, 277-297. Blundell, R. and Bond, S. (1989) Initial conditions and moment restrictions in dynamic panel data models. Journal of Econometrics, 1, 29-51.